We were not going to get a costume for JSL, but finally felt the need when Laura told me about one at Old Navy. When JSL is getting his diaper changed or just sitting around he sings a little baby coo-ing song and his feet move a mile a minute. He also smiles his big baby grin. I had started to call him Happy Feet! Well, here is the costume so you understand why I could not pass the amazing 50% off price on the costume. 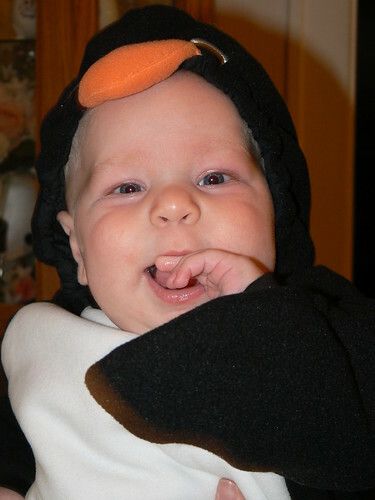 Do penguin have teeth? This one sure does! More photos of both boys together after Halloween. « To feed or not to feed? New to your blog. These are awesome. Definitely the best picture I have seen so far!! Best of luck with the adoption of your little girl from China. 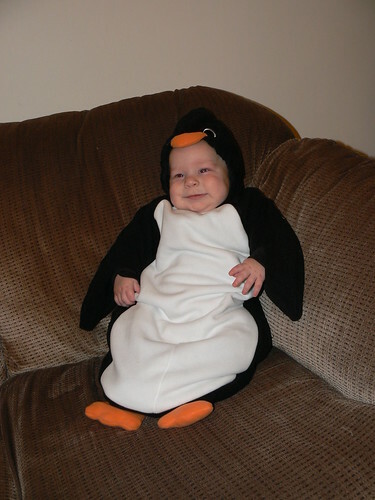 What an adorable penguin! Can’t wait to see the rest of the Halloween pictures! 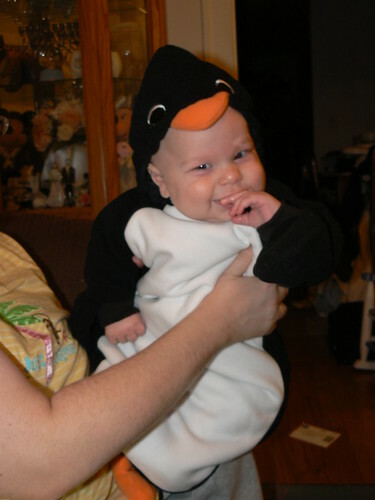 That’s the (second) cutest baby in a costume I’ve seen this year! 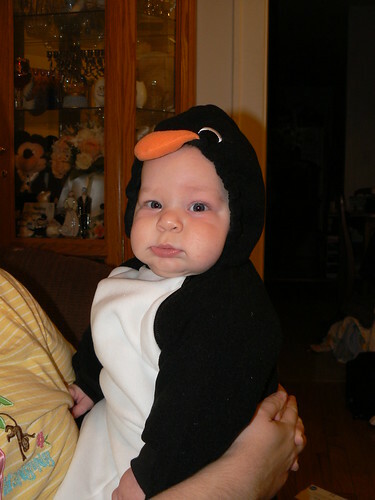 :) Definitely the cutest penguin though. He’s such a cute little chunk. Shawna: Thanks! 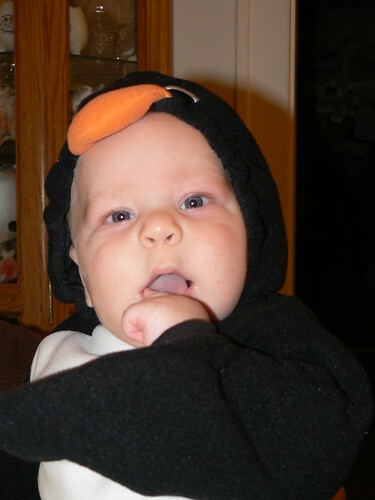 Hopefully I will have Halloween photos up tomorrow evening when the boys are sleeping or Thursday. Nancy: Thanks :) I love your little spider and Spider-man too! Those were the perfect compliment for each other and too cute! BTW – I love the painting you are giving away. Beautiful work! Thanks for stopping by and entering my tea giveaway!